We seem to be living in an age of growing awareness and incidence of food sensitivities, be they allergies or intolerances. Are these issues actually getting worse or is this really a form of self-diagnosis that is just ‘all in the mind’? Could it be that the more we denature our food, the more we hybridise, modify and process, add chemicals and deplete the soil, then the more we struggle to break down food, absorb and utilise nutrients and open the door to food reactivity? Sounds plausible doesn’t it! Take wheat and gluten for example, we’ve all heard of the old custom of ‘breaking bread’, well I’d challenge anyone to ‘break’ a loaf of white elastic that passes for bread at the local store. For the want of quick baking, increased shelf life and low cost we often consume a product that bears little resemblance to what was traditionally enjoyed. How do you know if you do have a sensitivity? Reactions can be very different. A true allergic response can be very rapid, eg eating a peanut can send someone into an anaphylactic shock. Other antibody reactions such as an IgA response my take place up to 72 hours after exposure, an IgM reaction much later. Diagnosis therefore can be problematic, testing for one kind of response doesn’t rule out another. Diagnosing celiac disease, an autoimmune condition, requires specific testing, detecting non- celiac gluten sensitivity is more subjective though certain testing may indicate an issue. Relying on symptoms can also be problematic given not only the time delay before reactions may take place but also the fact that symptoms can be extremely diverse. Whilst it could be bloating and gas, it could also be brain fog and mood swings. So what can we all do to help ourselves? - Pay attention to your body and start to notice symptoms that may recur after certain foods are eaten. - Rotate foods to at least limit exposure to those that may be problematic. Overexposure can promote problems down the line. - Identify foods that you ‘can’t do without’, they can often be ones we need the least! - Eat real food, unprocessed and organic, nature intended for food to be our friend not foe. - Adopt a big bang approach and phase out common offenders such as wheat, dairy, soy. 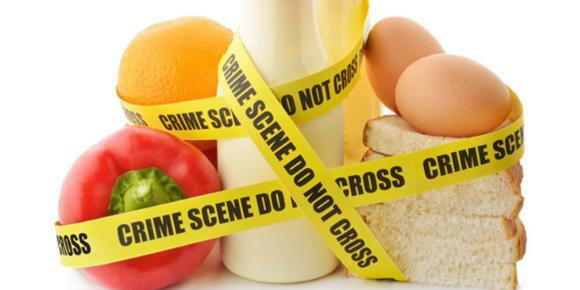 Corn, rice, eggs and nuts may typically cause issues. Be systematic with phasing foods back in if you do exclude for a time. - Nourish your digestive system with foods that heal. - Consider testing if issues are difficult to resolve. - Talk to us at Pure wellness!!!! The bottom line is that anything ingested can potentially cause an issue for any given individual. Whilst the food itself can be the problem, so too can the body that is being fed!